The new apartment building Momente Berlin lies at Nachodstraße 14, 10717 Berlin, Charlottenburg-Wilmersdorf just at the boarder to the district of Schöneberg. The famous Charlottenburger avenues like Pariser Straße, Fasanenstraßen or Spichernstraße right around the corner. Bundesallee and Nachodstraße. An area concealing a real gem. Momente Berlin. 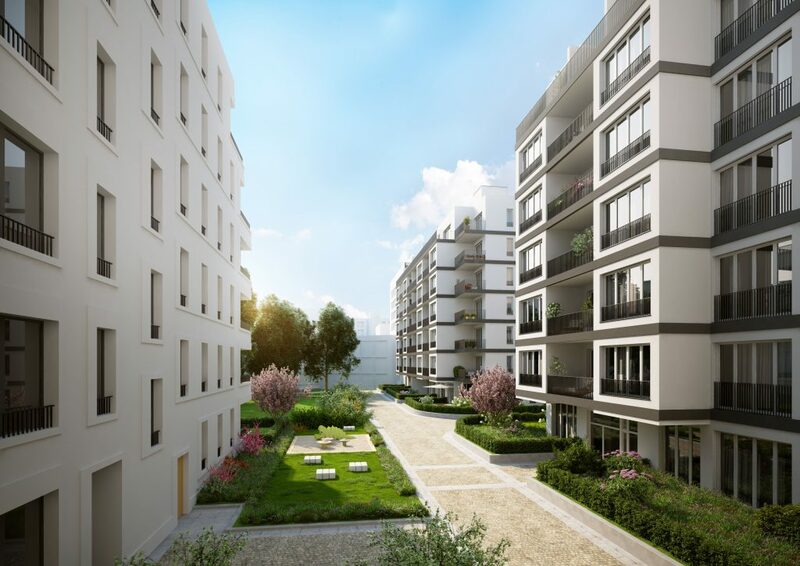 At the quiet, far end of the Quartier Bundesallee emerges a residential ensemble consisting of four elegant townhouses. Its style is modern, distinctive and with pleasing facades. Its open-plan apartments are generous, with unexpectedly expansive views.